Nwoya Uganda, 10th July 2015 – improved access to quality health and education services remains a top priority for the Ugandan government and various stakeholders. Despite the registered successes over the years, persisting challenges in the health and education systems have prevented attainment of key national and international targets. Through its Corporate Social Responsibility (CSR) activities Amatheon Agri Uganda Limited aims to tackle these particular issues. In 2014, Amatheon Agri conducted a baseline socio-economic survey of its surrounding communities. From the survey’s result and key social development needs highlighted by the District Local Government, sub-county leaders and the local communities, Amatheon selected its CSR projects. The prioritised projects are education, improved access to health care facilities through empowerment of Village Health Teams (VHTs), provision of agricultural training and social support through youth engagement in sports. Nancy Akumu, Corporate Social Responsibility Manager at Amatheon Agri Uganda Limited says that the company’s social investments will continue to focus on projects that make a significant difference and have the potential to transform lives of the communities in which it operates. “Our underlying aim is to make our farming communities more productive which is something we shall always endeavor to achieve,” she said. In June 2015, Amatheon Agri displayed its commitment to support education by providing school furniture to Wii-Anaka Primary School. 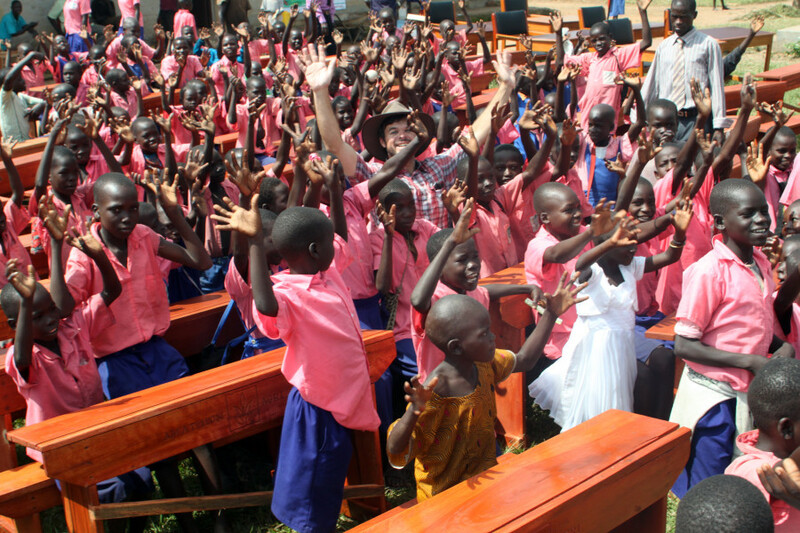 The school received 130 desks, teachers’ chairs and tables for grades 1-7. “With the provision of furniture, we want to establish a more supportive and motivating learning environment and further improve the safety of students. Over 300 students will have a safe place to sit, complete their assignments and hence increase chances to improve their performance,” Akumu noted. Amatheon also plans to enroll its VHTs program in Alero Sub-county, Nwoya District. The Village Health Teams will be trained and provided with bicycles for effective implementation of the programme. “Riding a bicycle is much more efficient and convenient than walking, since the high majority of Village Health Teams previously walked when providing health services to patients in rural areas. Bicycles will improve the overall outreach capability of the VHTs. Our contribution will increase monitoring, supporting and responding to the health care needs of our local communities. This will lead to an enhanced emergency response and hopefully contribute to saving precious lives,” Akumu added.